Recently, a company which we have already provided with professional carpet cleaning for one of their shops contacted us again. The company’s luxurious shops are located on large shopping streets and trade centers in London. The company management was so happy and satisfied with our carpet cleaning service in one of their shops that they considered to invite our cleaning company to provide a detailed quote for carpet cleaning in another of their shops. The clients chose us again because they were sure that we are fully professionally accredited and we have reliable and skilled cleaners with big experience in cleaning industry. 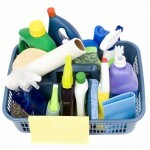 The client company has no doubt that we are approved and qualified cleaning company with more than 12 years practice. The company management was in amazement with our professional carpet cleaning service and our fully trained carpet cleaners. They were so happy with the results in their shops that they wanted our company to clean the carpets in their Head office. One of our managers went on place for a quote and took the measurements and stuff. After they approved our quote we sent our professional carpet cleaning team of professionally trained cleaners at the weekend to complete the carpet cleaning. They exercised special cleaning program to the root of the fibers, focused on the high standard of cleaning and worked hard and efficiently. They cleaned the carpets As a result the carpets looked like new – stainless and fresh. We are very happy to say that after the carpet cleaning in the Head office the clients were so satisfied that they consider using our regular office cleaning service. We are sending our professionally trained office cleaners to clean their Head office. If you agree that the clean workplace increase productivity, we will offer you full service of office cleaning. Our professional office cleaners will make your office clean. If you want to provide a special quote for you about our professional carpet cleaning, please contact us on 020 8884 9149 or visit our web site.